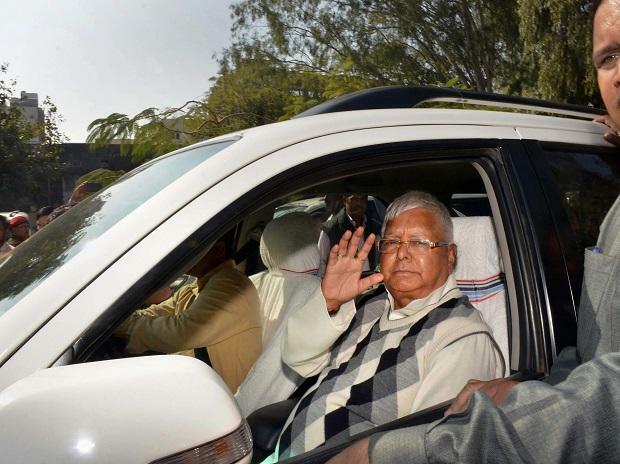 The Supreme Court Friday said it will hear on April 10 a plea of RJD chief Lalu Prasad Yadav seeking bail in three cases related to the multi-crore-rupee fodder scam, in which he has been convicted. A bench of Chief Justice Ranjan Gogoi asked the CBI to file reply by April 9 and said Yadav's bail plea will be taken up for hearing next Wednesday. Senior advocate Kapil Sibal, appearing for the Rashtriya Janata Dal (RJD) supremo, sought urgent listing of the bail plea saying notice has been issued in the matter. Solicitor General Tushar Mehta said the agency needs to file reply in the matter. "You (CBI) file the reply by April 9. We will take up the matter (Yadav's bail plea) on April 10, the bench said. Prasad, currently lodged in the Birsa Munda Central Jail in Ranchi, has challenged the January 10 verdict of the Jharkhand High Court dismissing his bail plea.